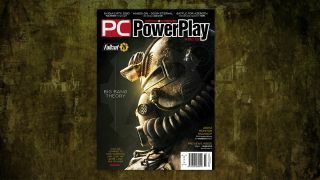 PC PowerPlay issue 273: Fallout 76 - OUT NOW! Also: Resident Evil Remake, Doom Eternal, Nvidia's new RTX 2080, and much more! This issue we're looking at how to survive a nuclear holocaust, while also making friends and influencing people - we've had a close look at Fallout 76, and we've got the lowdown on what makes this curious Fallout entry tick. We also go in depth and hands on with our review of Nvidia's epic new RTX 2080 and 2080 Ti. These are massive cards, and cost a fortune - but are they really worth it? We'll let you know! We check out the new carrier update for World of Warships, review Yakuza 0 and Two Point Hospital (among many others), and have a look at the interesting history of the first ever Fallout game. We’re on sale now! Or subscribe here. Hardware: Nvidia GeForce RTX 2080 & 2080 Ti, 244Hz monitors, Philips' new curved monitor, and the latest mechanical keyboards. Retro: Fallout and Fallout 2 - back to the beginning!